Mabon is the celebration of the autumn equinox, when the hours of day and night are of equal length. From now on, the sun’s strength diminishes until the winter solstice in December. 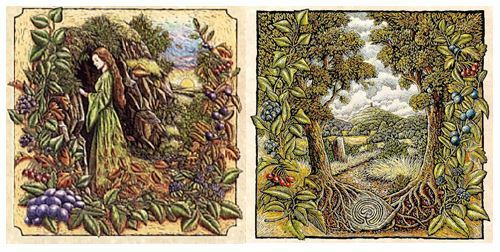 It is also known as the Second Harvest (after the first grain and fruit harvest at Lughnasadh) or Harvest Home, when much of the remaining crops are collected and stored before the long winter. Mabon is a time of thanksgiving and mystery. The term Mabon was coined by Aidan Kelly, who chose the name based on the Welsh god/hero Mabon ap Modron, the “divine son”, King of the Otherworld and the God of Darkness. However, other names have been suggested, such as Herfest and Halig, which coincide with the more Anglo-Saxon naming conventions of the other equinoxes and solstices on the Wheel of the Year. Various mythos surround this holiday. In Wicca, the God is thought to decline at this time, which is represented by the decline of the earth’s bounty. The Goddess ages and passes into the Dark Goddess or Crone phase. We await the rebirth of the God at Yule, the longest night, when the sun is ‘reborn’. 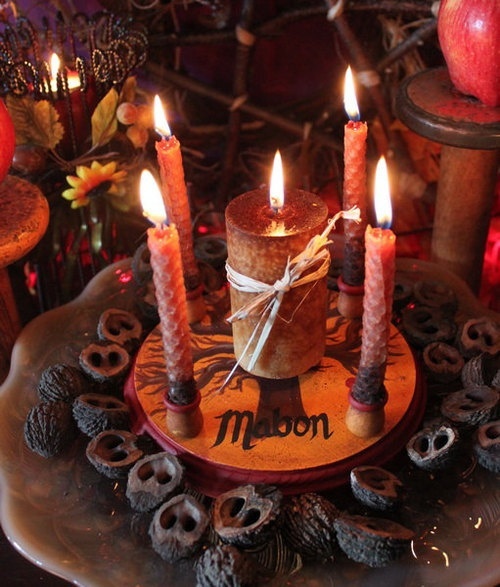 Mabon is a time of mysteries, especially the legend of Demeter, Persephone and Hades. In this myth, Persephone, daughter of the grain and harvest goddess Demeter, was abducted by Hades, God of the Underworld. However, while in the underworld, Persephone was tricked into consuming some pomegranate seeds. This act prevented her from returning to the land of the living, and as a concession, she was forced to spend part of the year in the underworld. It is thought that during this time, her mother Demeter mourns for the loss of her daughter and the earth dies as a result, thus representing the changing seasons. 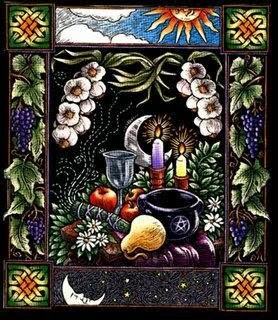 Symbols of Mabon include apples, grapes, wine, gourds, pine cones, acorns, wheat, dried leaves, corn, sun wheels, and pomegranates. 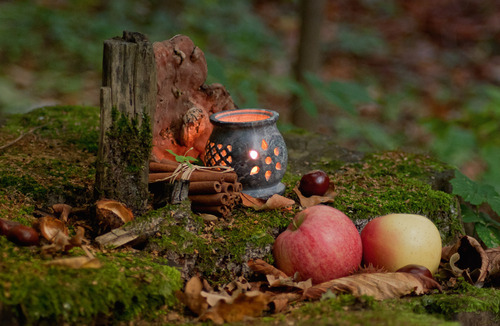 Mabon can be thought of as a time of thanksgiving and balance, where we stop to recognize all of our personal harvests and are grateful for what we have been blessed with.